In a previous blog, I discussed how to get your team to blog, and provided an 8 step guide to how to go about it.. And I really think you should go back and read it, if you haven't yet, as it will provide some great background to what I'm about to say. Blogging is absolutely the primary way we approach our entire marketing plan. Everything is built around the blog, in that the content we write about goes on to live a life in so many other places, and continues to get remolded to help provide even broader education. And what I mean by this is that our blogs become the launching platform for videos, for podcasts, for eBooks, for infographics and for social media posts. One little blog can have quite the extended life, when it's done from the purpose of creating educational value. At this point, we've been doing it since 2012, and it's gotten us a tremendous amount of client leads and actual business. When i say our blogs are the core of our marketing program, that in itself is limiting - as our blogs are core to the absolute essence of our agency. And the reason why is that we put so much value on education, knowledge and a how-to ability, that our team itself is constantly driven to learn, grow and contribute - while also teaching our clients how to better understand the current influencer and branded content marketing opportunities that constantly emerging in our socially driven and connected-screen landscape. Back in October 2016 we had just under 4,000 blog views a month. I know this because our blog software, Hubspot, tracks all that data at a click of a button. And so does Google actually, but the details we get from Hubspot are better as we publish from that platform. Go back a year, and in October 2015 we were getting 1,000 blog views a month. And our first blog where I wrote one time per week - and by the way, I thought that was a crazy amount, and now our team publishes at least 4 or 5 time each week. And go back even further, all the way to blogs written back in late 2012, I think for the YEAR we had something like 150 views total or something silly. And quite franky, I was happy with that then! And now? Well currently we range somewhere from 12,000 to 17,000 depending on the month. And we are still trying to figure out the jumps that have occurred here and there, and how to keep the blog in front of as many on-target people as possible. Google changes its' algorithm, and all of a sudden you can have more, or less. So it’s taken time to get to the point we are at, where we do have a significant number of monthly readers. And it was a slow crawl before we started seeing massive growth. And here's the thing. The whole secret sauce. How you are going to make sure your blog is successful. Ready for it? The more you blog evergreen content, the more the blogs build viewers. So it really is in part content that people want to ready, and the other part, all tenacity. And there is no surefire way to find success and know if what you write is going to be really continuously read by anyone. Because it all comes down to keywords that are typed in by the searcher online, and having phrases you talk about in your blog, being close enough, that your content is pulled up. Because if they can't even find you, then no one is going to have the chance to give you a read. One blog we wrote a couple of years ago, which I continue to build on, has on average over 4,000 views a month alone on it. That single blog gets a major amount of our traffic. And the next one to that has just under 2,000 readers every month, and then the 3rd most read blog is just around 1,000 readers every month, and then it goes to 813 readers for the 4th most popular blog, and then REALLY QUICKLY it drops to 300 readers and then rapidly down to just a hundred or so views per blog. And that is OK! I love the fact that some of our blogs only get a few dozen reads each month. Because many times those are the brands and agencies who reach out to us, who want to actively engage in conversation. TThey looked up very specific keywords to a problem they were trying to solve. After all, we are a niche speciality agency. Not everyone reading online is going to be a potential client. In fact, most of the people reading our blogs that have major views each month are not even prospective client material. 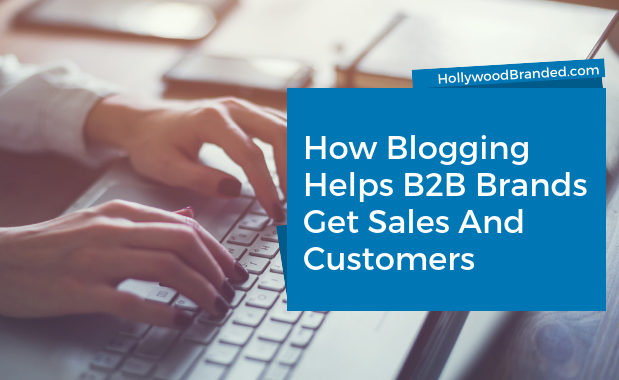 Because those super popular blogs happen to have keywords that apply to what a lot of people are looking for - including consumers who we have no interest in selling to. But even those super popular blogs get some very on-target potential clients, and are often referenced by those individuals in our first discussions. And regardless of the potential of the success of the blog, we typically only have a handful that are super top performing, and even when we replicate the topic and try to expand upon it, that magic isn’t typically found. So it’s just about keeping that content coming in. 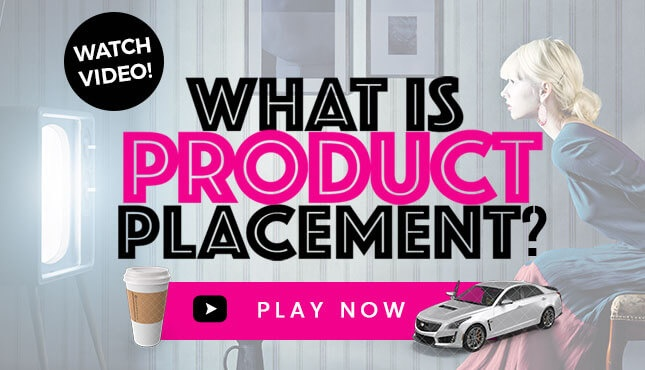 Although we do have a few sure-wins -- such as whenever we write about the Kardashian-Jenner clan and brands, or celebrties in Super Bowl commercials each year. When you find a theme that gets noticed, it's worth continuing to sprinkle in more content. There is a lot that I and our team running our blog don't do. I rarely look at Google Analytics. My team uses SEM Rush and I barely gloss over that, just looking at percentages to see if we have improvement or loss of ranking. And I really don’t have our team do nearly what we should – cross promoting, back linking, asking for people to post… that's a lot to stay on top of and we're so busy on client projects, that we'd rather keep our focus there. I just truly concentrate on our getting 4-5 posts written a week (3-4 original, plus 1 re-purposed older blog) and scheduled out. That means one of two things - either a late Sunday night scheduling frenzy with a 6 something am must-have-posted hard stop, as our weekly email newsletter goes out to about 4,000 people. Each blog post goes out to our agency's social networks (LinkedIn, Twitter, Facebook and Pinterest - plus Google + just for SEO ranking. And while I want our team to also post through their accounts, that doesn’t happen all the time. In fact, rarely unless they have written the blog post, and even then, possibly not. We have an agency goal to get everyone to post on their LinkedIn accounts, as Facebook, Twitter and Instagram are just too personal. The majority of those who are signed up on our blogs don't read every single one. And we really don't expect someone to. The whole purpose is that it allows our agency to softly touch those prospective, current and past clients every Monday in a non-intrusive way. And I often hear back from brands we’ve pitched months or even years before, and when I hear back – it’s usually an email to me that is in reply to the weekly email newsletter they received, as something we wrote happened to make sense on a project they were just about to start working on. And that makes our blogging absolutely worth the challenge, and why I suggest all brands find a way to blog, and let Google help you find customers. All of our content marketing has one goal: To teach, solve problems and provide information that no one else does. And we do it in great abundance. In our case, we want to provide someone with the knowledge on how they are going to be spending their marketing dollars, and that they know our agency guarantee stands true: that by working with us they will save more and get more out of the campaign (that they would never know to ask for), with us than without us. Really, blogging is just brand-owned content. And while I certainly believe every brand, whether targeting consumers or businesses, should have an active voice, what really matters is that the brand has any voice. 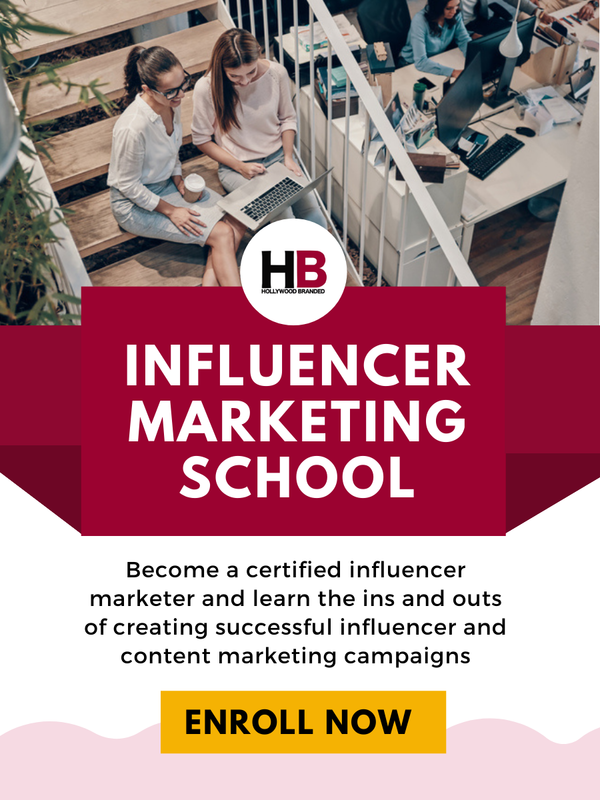 So if your brand isn't ready to start blogging and creating content, think about ways you can leverage 3rd party voices - like influencers and other content creators, and find ways to create brilliant product placement programs where your brand becomes interwoven into their social posts, TV shows, music lyrics or feature films. 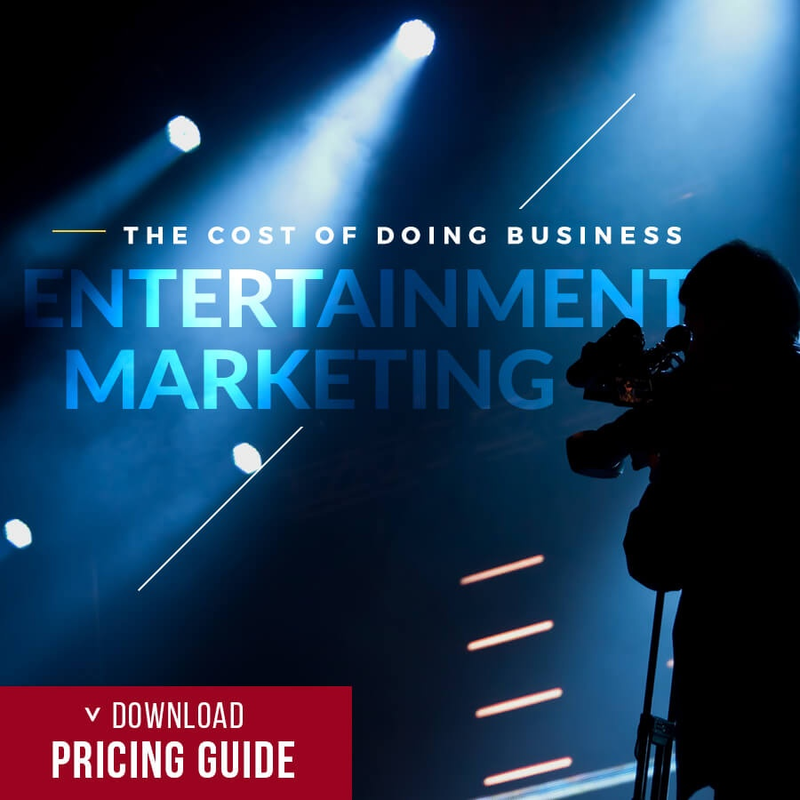 If you like the information you learned, and are interested in finding out how to better successfully partner celebrities to your brand - without spending a million... we have a great resource tool for you. 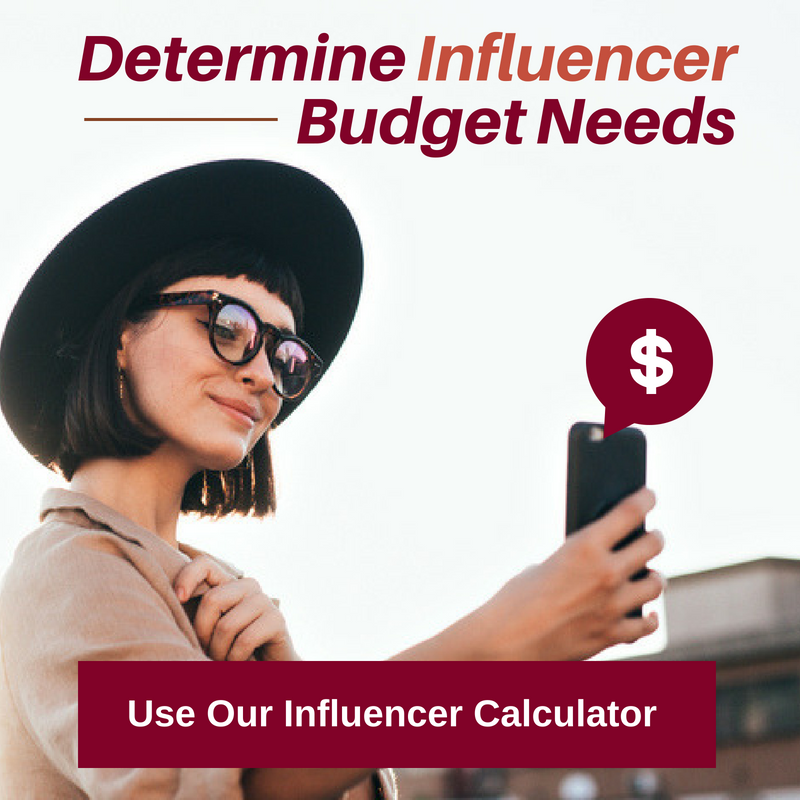 You will learn exactly how much SHOULD you pay, what influencers think about brand partnerships, more ways to safeguard a celebrity endorsement partnership and ...so much more. 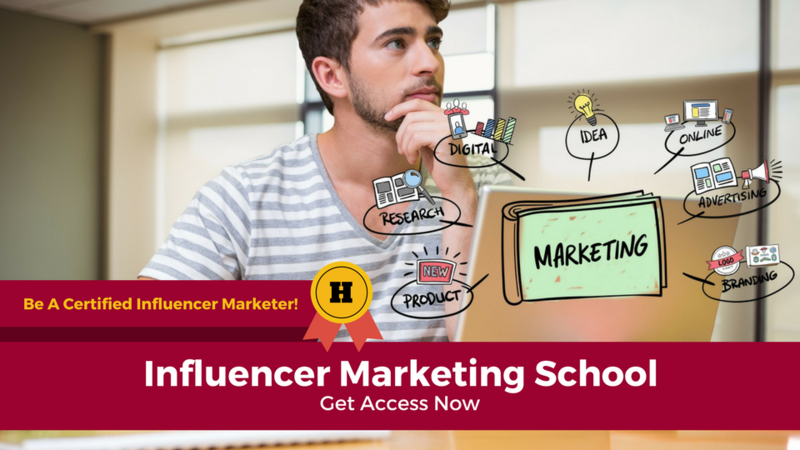 If that sounds like it would be helpful, then check out our Influencer Marketing School, where we offer in depth discussion about everything you need to know about celebrity partnerships to ensure your next brand deal is a success.